Look at that! 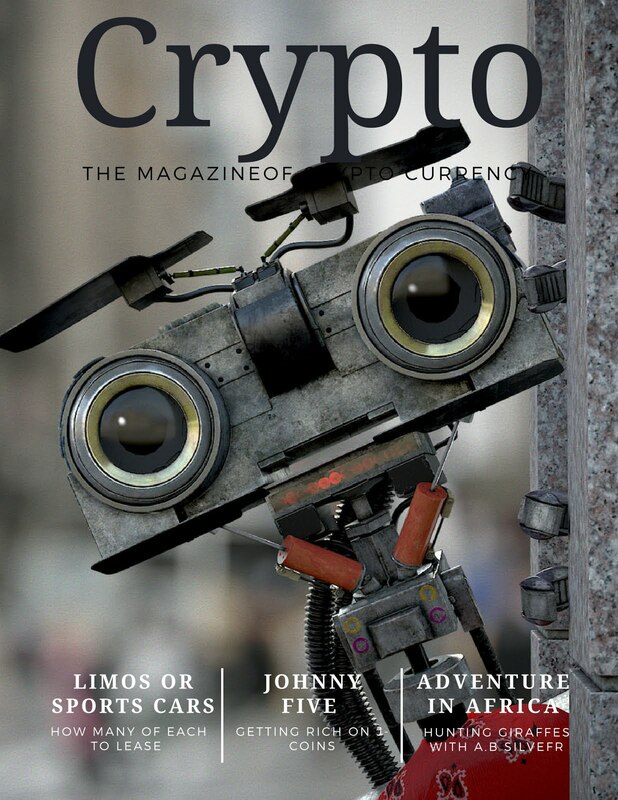 Our dude J5 made the cover of Crypto Magazine! That's cool. My subscription ran out a awhile back so I haven't been keeping up with the latest news but good for him. I hope that this all works out for everyone. Don't hate, congratulate. The crypto thing is still sort of a mystery to me but so is a lot of things, like string theory but that doesn't mean it's not real. Is string theory real? I don't know. The same goes for Crypto Currency but hey, whatever man. 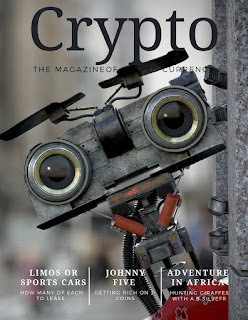 If you like it then by all means go ahead and buy some Johnny Coins but do not say that IseeRobots sent you because I most assuredly did not. I'm trying to stay out of this all together.. I mean, besides running an advertisement, having J5 on the show to talk about it and running this magazine cover..